Join us for an inter-generational movement workshop at Murphy Elementary School, free and open to all Murphy Elementary School families. Families in Motion is designed for a student to participate in with an adult family member–parent, grandparent, aunt, uncle, caregiver, etc. This event is an opportunity to have fun as a family. No experience is necessary. Wear comfortable clothing and bare feet. This project is primarily funded by a grant from the Laura Jane Musser Family Fund with additional support from the Minnesota State Arts Board, Target, and the McKnight Foundation. 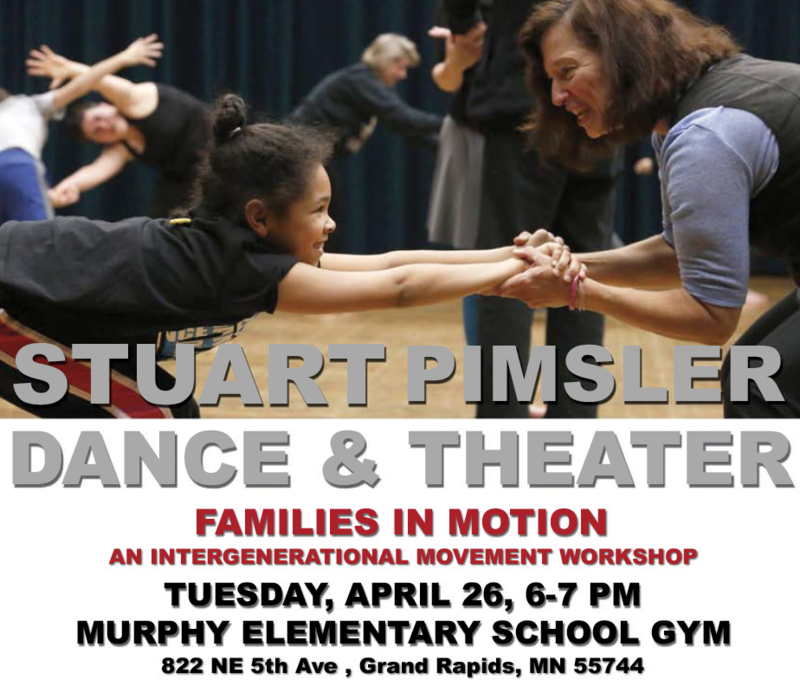 Stuart Pimsler Dance & Theater is a professional performance company, co-directed by Stuart Pimsler and Suzanne Costello, founded in New York in 1979 and based in Minneapolis since 2000. The company is committed to bringing the arts to communities throughout Minnesota, as well as nationally and internationally, through performances, arts & education programs, and arts & healthcare programs. To learn more about our programs and upcoming tours and events, visit our website: www.stuartpimsler.com or find us on social media.